Bison: A Falcon Field Guide presents readers with substantive yet easily digestible information on this majestic symbol of the American West. Where do bison live? What enemies do they have? How do they communicate? What issues exist in the sometimes controversial relationship between bison and humans? This book contains all the information you need to know to become familiar with these fascinating animals. 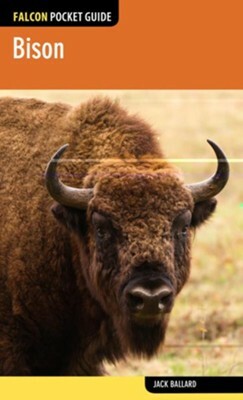 Accompanied by numerous full-color photos of bison in their habitat, this handy field guide makes an excellent take-home souvenir and reference for anybody interested in bison. Jack Ballard is an award-winning outdoor writer and photographer. In the past ten years his articles and/or photos have appeared in over 25 different regional and national magazines, including: Paddler Magazine, Montana Magazine, WildBird Magazine, Colorado Outdoors, Birds & Blooms, and others. Currently he lives in Red Lodge, Montana. I'm the author/artist and I want to review Bison.